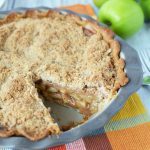 Growing up one of my favorite pies at any family get together was apple pie. It was my dad's too. We would generally have traditional apple pie. 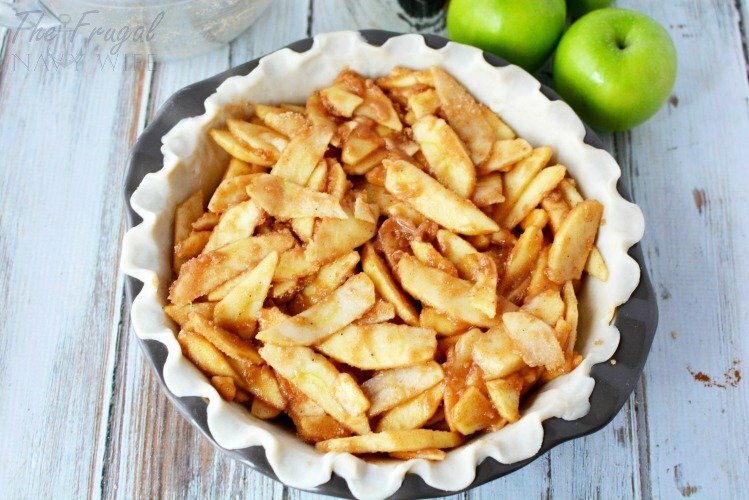 Recently my dad asked me to make a traditional Dutch apple pie recipe. He hadn't had one in years and neither had I.
I pulled out my grandma's old cookbook where she kept all her recipes and started poking around and found this one. 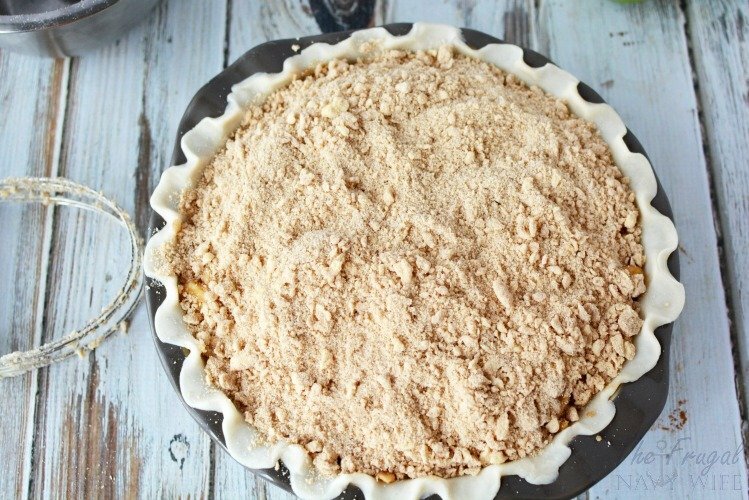 I made this recipe 3 times in a week (no joke the pie never lasted longer than 1 night!!) and tweaked it just a bit and came out perfect! Though, now that everyone knows I can make this recipe and they love it I get assigned to make it for every holiday. There is a blessing to doing desserts during the holidays! I can make them the day ahead of time and then sit back and enjoy the family on the holiday, so I'll take it! 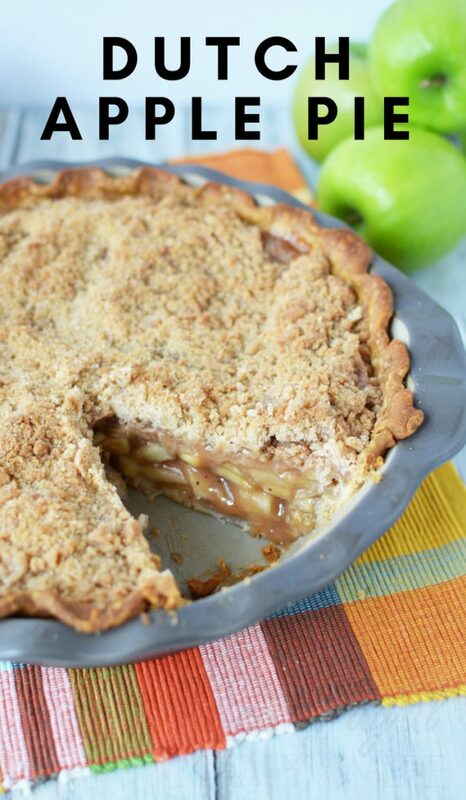 Start by preheating the oven to 375 degrees F.
Next, roll out the crust and place it in the bottom of a pie pan. 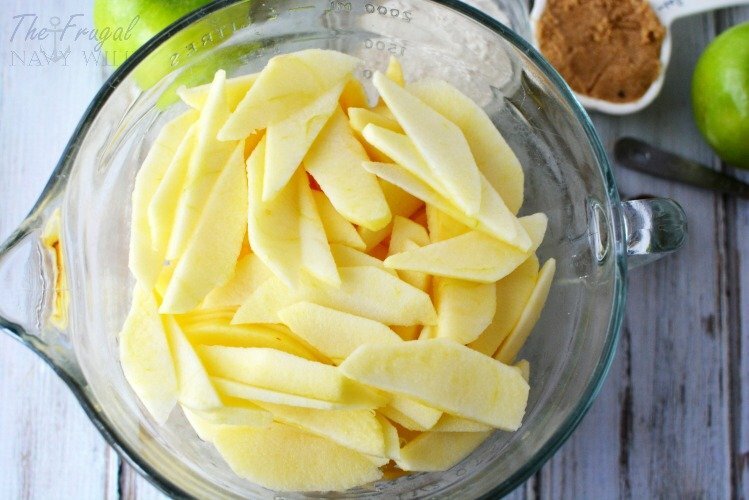 Then go ahead and peel, core, and slice apples. 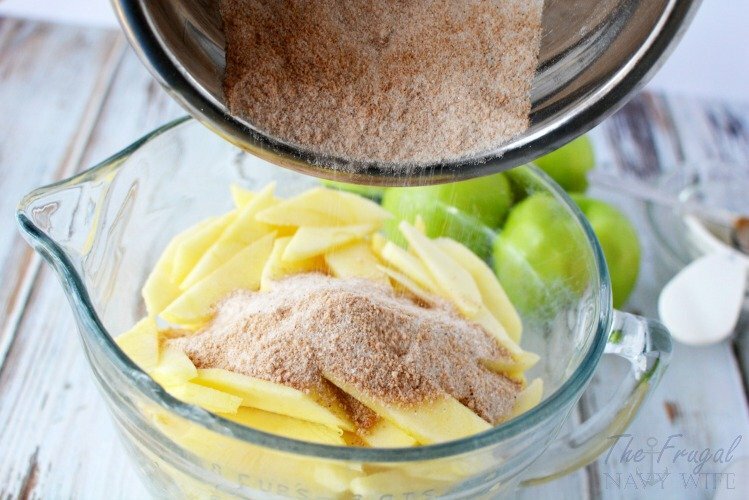 In a large mixing bowl mix together the lemon juice, sugars, flour, cinnamon, and nutmeg. 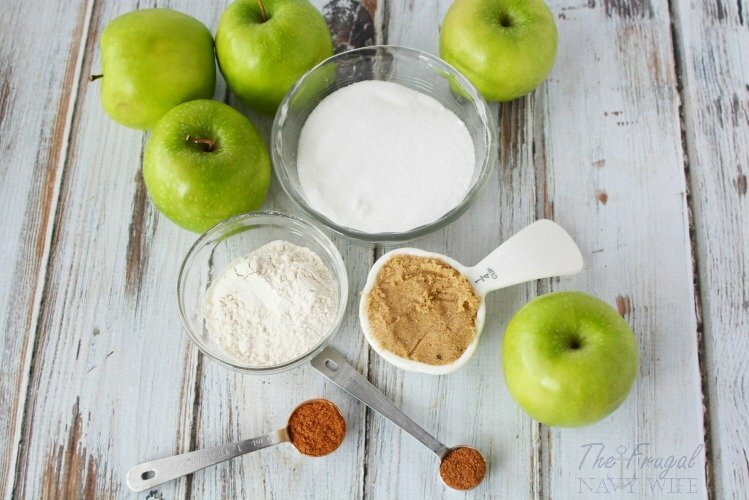 Mix them together and then mix with the apples until apples are coated. 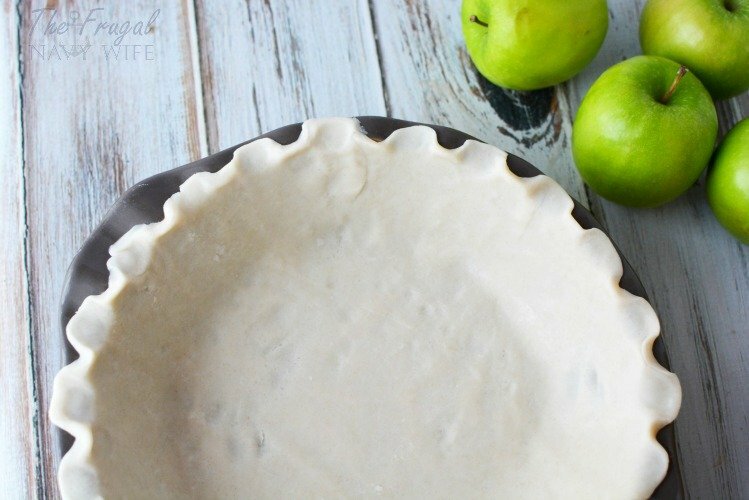 Pour the apple filling into crust. 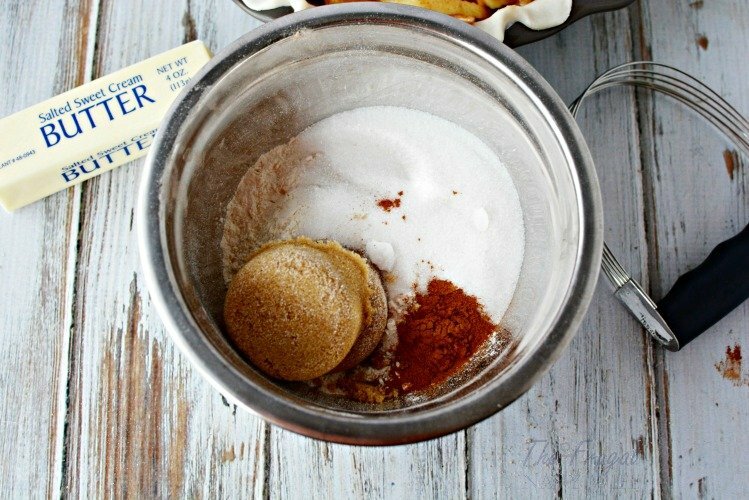 In a separate mixing bowl combine all dry topping ingredients. 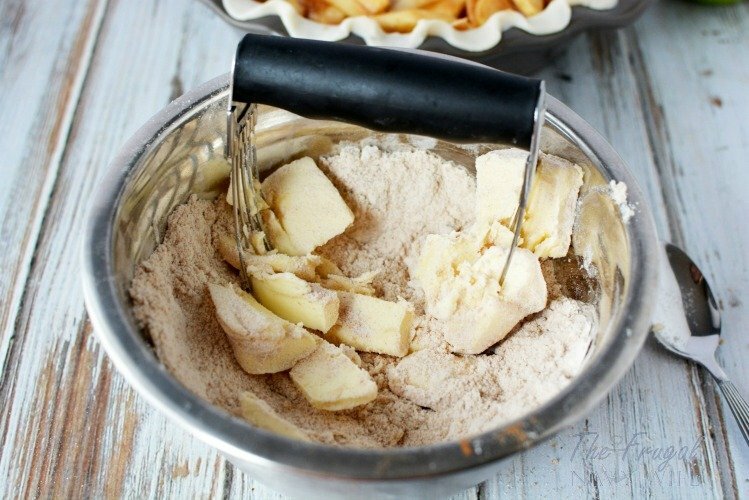 Use a fork or pastry cutter to combine until the mixture is well combined and crumbly. Pour this on top of your apple pie, making sure all the apples are covered. Bake for 50-55 minutes until the top is golden brown. Serve warm with ice cream or whipped cream, best served warm. My favorite pie at any family get together is apple pie. 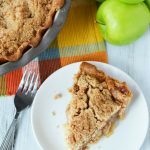 Tweaking a few things in this traditional dutch apple pie recipe has now become a growd favorite.